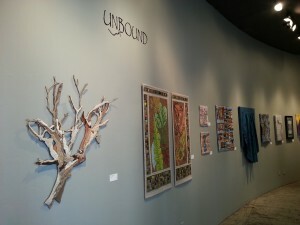 The Fiber Artists of Southern Arizona’s show UNBOUND opens at The Drawing Studio in Tucson on Saturday. The show looks amazing, and the works include my 8′ skyscraper Channeling Gehry and Trish Hastings-Sargent’s new work, a sculptural Desert Tree that ‘floats’ along the wall. 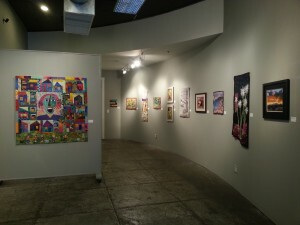 My artist talk Confessions of a Subversive Stitcher begins at 5 pm Saturday. The artists’ reception follows at 6 pm. Patricia Hastings-Sargent will host a talk about how she creates her landscapes on Saturday, April 13 at 5 pm. Click here for info on how to get to The Drawing Studio. Events are free and open to the public. 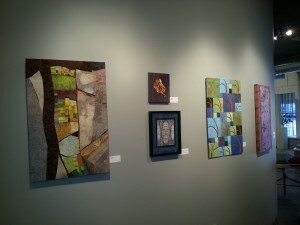 The show runs through April 27, hope you can stop by and see it. Here is a sneak peak of the show…. Looking good Mary. Hope your talk goes well. Looking forward to seeing you in Texas!